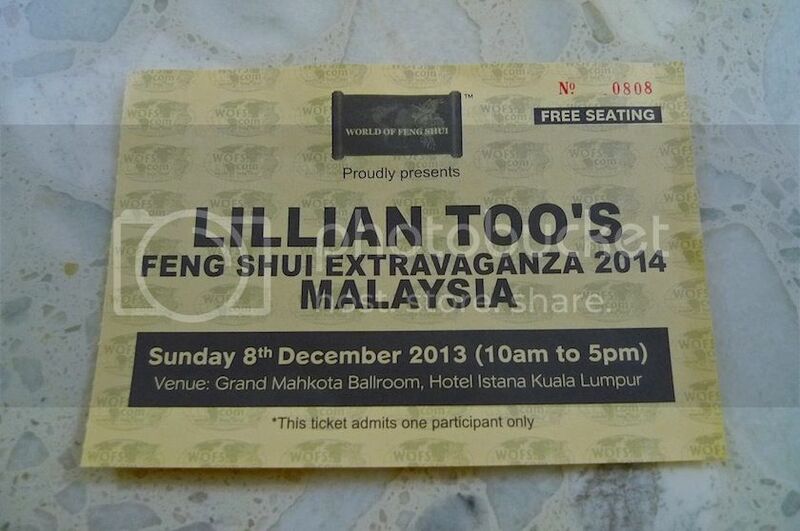 On December 8th, I attended Lillian Too's 2014 Feng Shui Extravaganza at Hotel Istana KL. The date of this talk actually caught me by surprise as she always hold her talks in January every year. This time, it was one month too early, but I guess it's not a bad thing to have the talk early. I was so engrossed looking through her range of feng shui products displayed outside the hall especially the Feng Shui Keychains that I did not notice the talk had already started. So yes, I was a little late but luckily, I did not think I miss much. 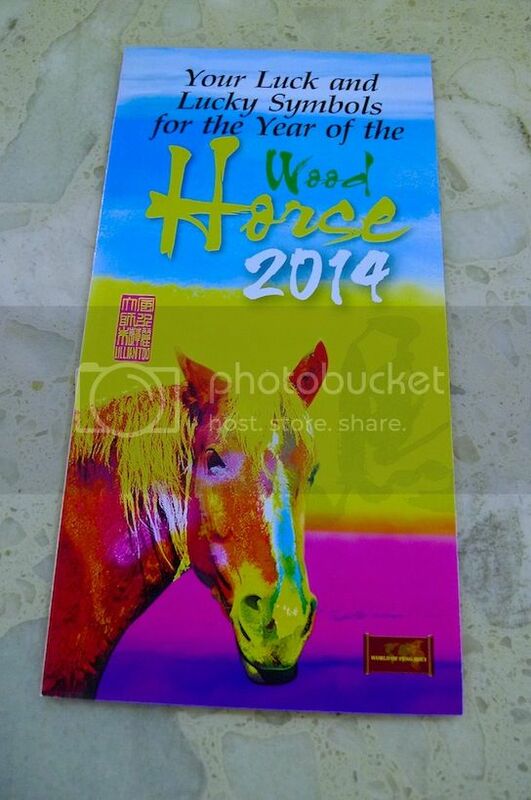 If you do not already know, 2014 is the Year of the Wood Horse. As such, Lillian suggested that we honor the horse by displaying the images of the horse in our homes. Lillian then filled us in on what to expect for the coming year. To do that, she presented the 2014 Bazi Chart. Don't know what a Bazi Chart is? Click HERE for Bazi 101. 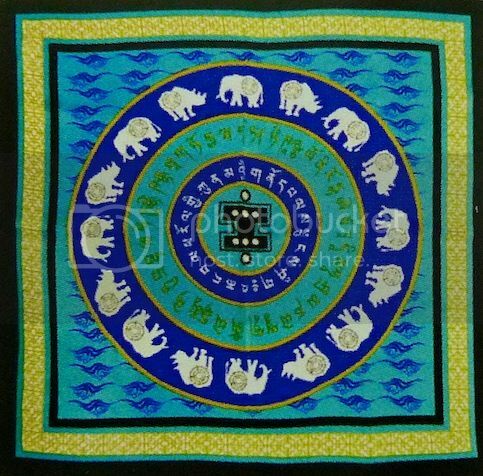 To know how to read the Bazi Chart, you must first understand the basics of the 5 Elements and their relationships with each other. Click HERE for a quick rundown on the 5 Elements. Lillian revealed that this time, she had analyzed the Bazi Chart with the help of Hong Kong's most famous master feng shui practitioner, Choi Park-lai, who was a feng shui consultant to property tycoon Li Ka-shing. Sounds impressive! Based on the 2014 Bazi Chart, there is simply too much fire. Can you see there are 4 Fires in the chart? 2 in the Day Pillar, 1 in the Month Pillar and 1 in the Year Pillar. It is an unbalanced chart with Earth and Water missing! When Fire is too strong, you must use Earth to exhaust it. 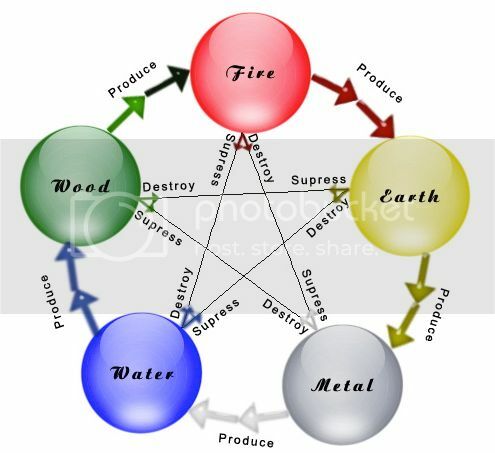 (refer to the 5 Elements cycle). You may be wondering - why not use Water? Well, Water will completely put out the fire and you don't want that! You still want some fire burning right? Also, Water strengthens Wood, which in turn strengthens an already strong Fire. Since Earth is missing in the Chart, Lillian suggested placing more Earth element objects (eg. crystal balls) to control the fire. 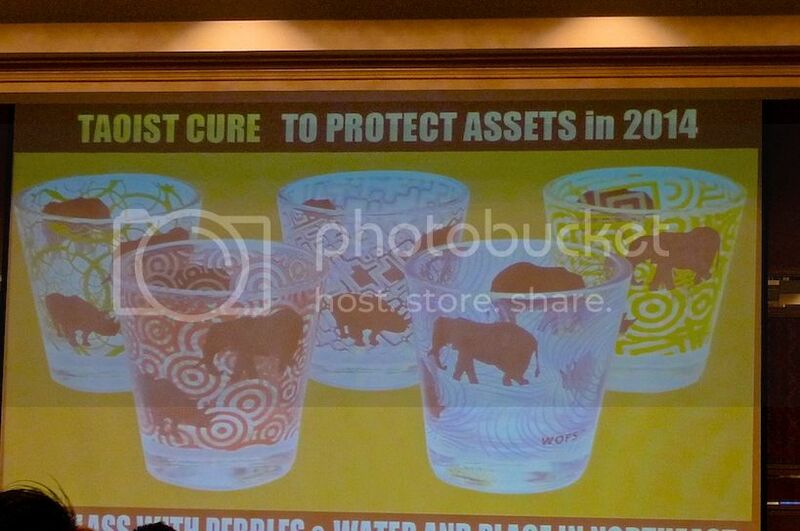 Another remedy is the Taoist cure using the 5 element yin water glasses. Designed to soak up the angry energies of the year, these glasses are most suitably placed in the West, Southwest and Northeast. Put stones inside each glass and fill up with water. Yin water (inactive, stagnant water) is most suitable to control the fire as it is not strong enough (unlike yang, moving water) to put out the yang fire. By adding the stones (Earth element), you have one of the perfect Feng Shui Cures for the strong yang fire energy of the year. An unbalanced Bazi Chart signifies an unbalanced year. However, since the Year Pillar shows Wood producing Fire, the year is likely to bring beneficial energy. There will be growth and money making opportunities especially in the first half of the year. The second half of the year will not fare as good with over-burning of fire energy in the Day Pillar. By the last quarter, Metal (wealth) destroys Wood (resource) in the Hour Pillar, indicating the source of wealth will have been over-exploited. With so much fire in the Chart, the business environment will be very competitive in 2014. Competition will be fierce and people will tend to play dirty. International relations will suffer as there is lack of intelligence (missing Earth) coupled with lack of diplomatic skills. This is confirmed by the presence of 6 conflict stars in the chart. 2 horses in the Bazi Chart bring the Star of Aggressive Swords. This means existing wars around the world will not have an easy solution and may even escalate. Demonstrations, protests and mass revolts are likely to happen. To protect against the Aggressive Swords Star, Lillian recommends that we wear the Tibetan Dzi Beads. 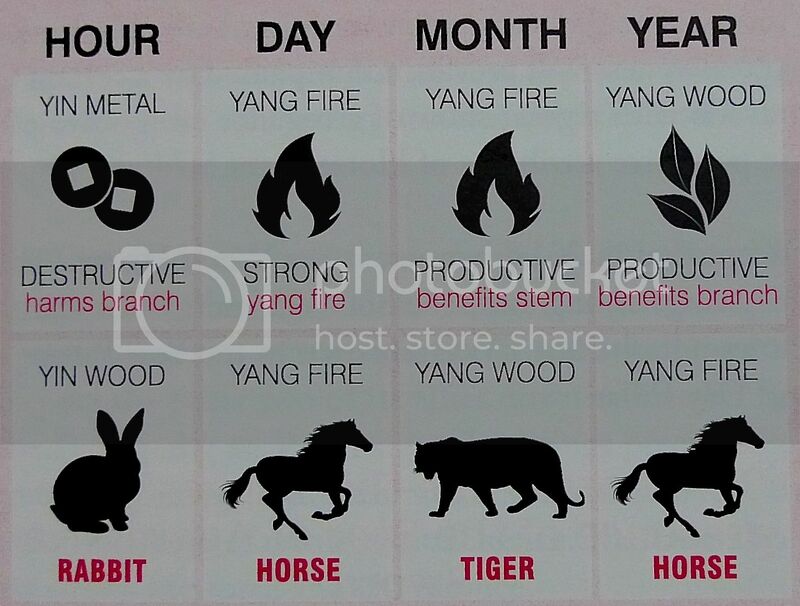 The 2 horses in the chart also creates what is known in feng shui as the 'Self Penalty' formation, which suggests negative outcomes for all new meetings and relationships. What does this mean? It means that after February 4th 2014 (the official date when The Year Of the Horse starts), if you happen to meet someone and fall in love, that love will be doomed! 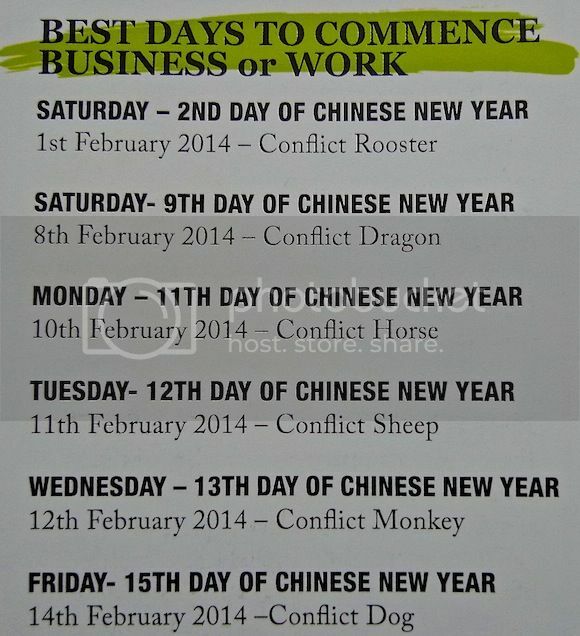 Meeting and forming new business partners after February 4th 2014 will also have a negative ending. In fact, all relationships whether business or personal will not have a good outcome, so if you must fall in love, or are looking for business partners, do so before February 4th! 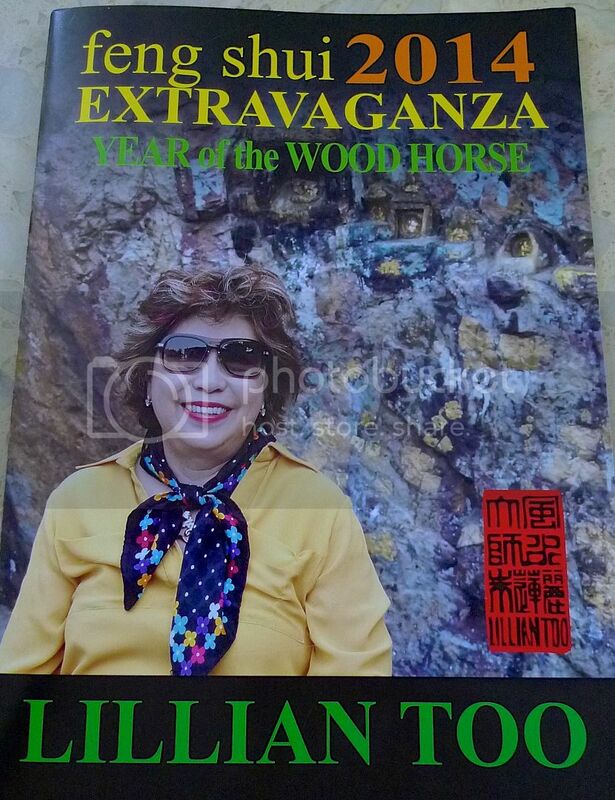 Lillian warned that there will be one very BIG disaster in the Year of the Horse involving fire. 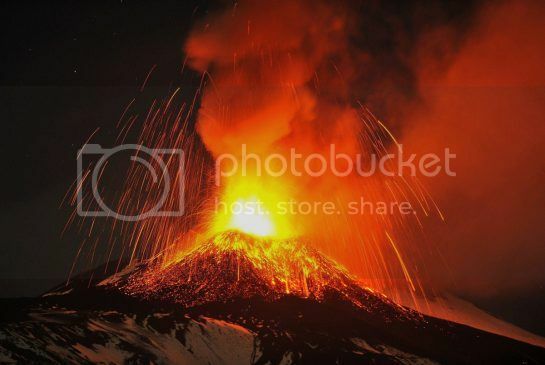 She referred to it as "The Big One" and hinted that it could possibly be a volcano eruption. She warned that just because we in Malaysia do not have volcanoes, that does not mean this disaster will not affect us. She said if Mount Krakatoa in Indonesia were to have a major eruption, Malaysians would most likely feel the effects. However, later during the talk, Lillian again said that one very BIG disaster will happen in 2014, but I was not sure if she was referring to the volcano eruption mentioned above. She said it could be a natural or man-made disaster (obviously volcano eruption is not man-made), and it will happen towards the end of the year, most likely after the month of September. So do take note. Metal indicates prosperity and since there is only 1 Metal element in the Chart and no hidden Metal, money making opportunities and investment capitals are harder to find in 2014. Big deals are difficult to close so it's best to focus on the smaller deals. Those who dabble in the stock market are advised to get out of the market by end of July. The market will go out of control in August and by December, it could crash! Since Earth element which represents Intelligence is missing from the Chart, this indicates a lack of innovation and new ideas in all areas, especially in the technology sector. Does this mean all those new smart phones coming out in 2014 will be boring? Water element which represents power is also missing from the Chart indicating lack of direct power of world leaders. But there are 2 hidden Water elements in the Chart and this means real power is held by those behind the scenes. Lillian jokingly went on to say this - "In Malaysia, we know who is powerful, but we also know who is more powerful behind." This brought out some roaring laughter from the audience. The Peach Blossom Star brought by the Rabbit in the Hour Pillar indicates a good year to get married. However, the appearance of the External Flower of Romance Star indicates infidelity. However, affairs outside of marriage will not last long. The Star of Great Popularity makes an appearance in the Chart. This suggests that many new stars and celebrities will emerge in 2014. I wonder who will become famous next? Finally, how will the different industries perform in 2014? According to Lillian, the fire industries will do well, although with so much fire, it could get very competitive. Fire element industries are lighting, restaurants, entertainment and the stock market. Be prudent on investments especially during the second half of the year. Earth industries are affected due to the missing Earth element. Real estate and property development suffer. Creative marketing strategies are needed to give growth a boost. Earth element industries are property, real estate, construction, and hotels. In the Metal industries, mining and jewellery industries are stable. Lack of innovation will affect the mobile and telecommunications industry. Technology and IT market will slow down. Metal element industries are mining, jewelry, computers, and airlines. The Wood industries will be affected by the lack of water. Agricultural industry will be hit by bad weather. Caution is advised when making large investment in heavy equipment. Wood element industries are plantation, agriculture, publishing, flowers and plants. Water industries will face obstacles due to the lack of water element in the chart. Large fund injections are hard to secure, so focus on smaller deals. Finance and banking will face challenges, although Lillian said she's bullish on the banking industry. Water element industry are banking, shipping, transport and fishing. One more interesting thing I need to mention is this. Lillian said that in 2014, men will not have it so good. The luck of wives will be stronger than the luck of husbands. Male leaders will be under threat. Career luck will also favor females, so if you are a male fighting for a promotion, you may lose to a female. Why is this so? That's because of the Five Yellow star which flies into the Northwest in 2014, afflicting the luck of all patriarchs. But more about this dreaded Five Yellow in the next part, so stay tuned for more. 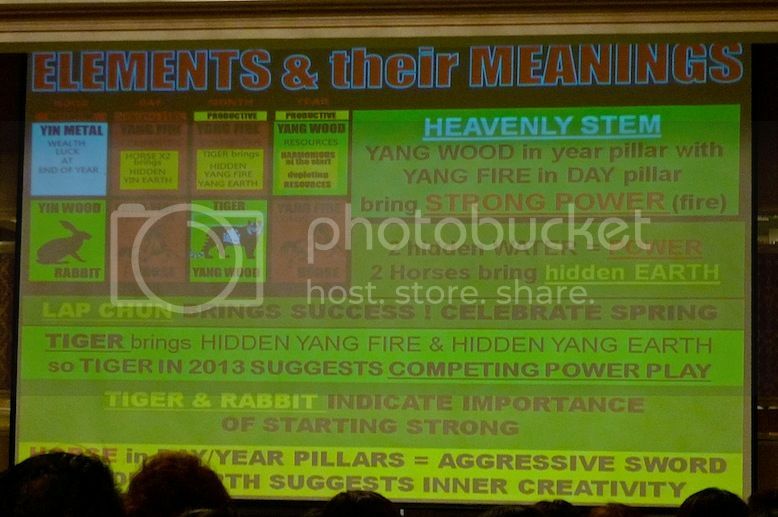 Also in Part 2, I shall share about the 2014 Flying Star Chart, which when combined with the readings from the 2014 Bazi Chart will give a more complete picture of the feng shui energies affecting the Year of the Wood Horse.